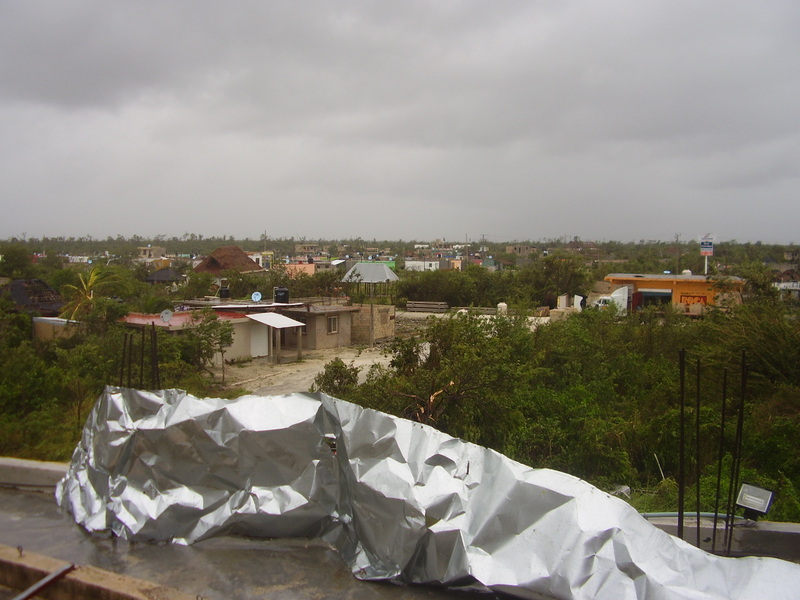 I am sharing some stuff this weekend that I wrote when I first got to Mahahual. 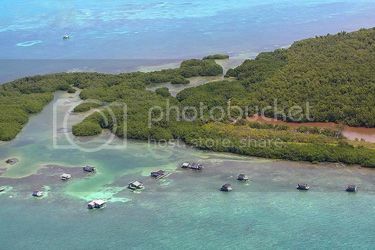 It is from my blog I started in Belize http://www.oasisresortbelize.wordpress.com. I am now back living in the same hotel I did when I first came to Mahahual, so I figured some of you readers may like my look back. 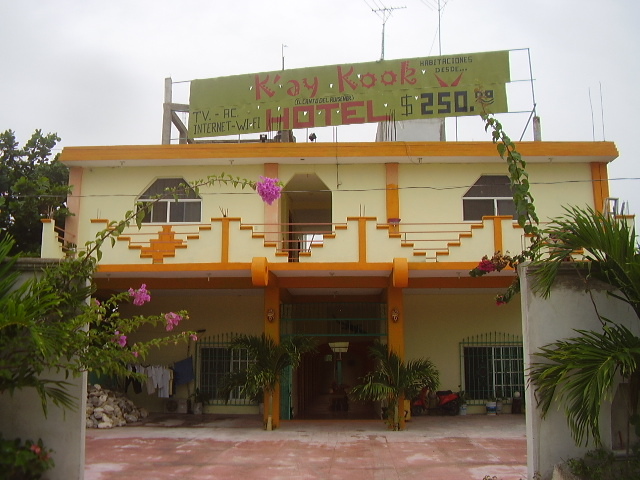 I live in the Kay Kook Hotel across the highway from New Mahahual(or Casitas, as most people still call it). The neighborhood where I live is called Barrio Cinco-Cinco,( or translated to English, the “hood” at kilometer 55). A lot of people who live the this area work at the port or other places that support the cruise ship industry here. It is basically a place where a lot of families live and work. My hotel is on the edge of Barrio Cinco-Cinco, and a few yards from the highway that is the primary way in and out of Mahahual. I moved from the hostel downtown out here in July when I came back from Xcalak, and I have been here since. There was a guy that lived across the hall from me when I first moved in and his name was Chuey, and he worked at Captain Mono’s restaurant on the beach in town. Cheuy is a Mexican guy and a pretty nice guy and I did not him that well when I first moved in, I would see around town and he would yell at me hey “Barrio Cinco-Cinco” to acknowledge he knew me and basically to say hello. Well this went on all summer and he and I and some guys that live in the hotel we would sit outside on the balcony during the hot nights to catch the breeze off the sea, and talk. My hotel where I live. They would ask me a lot about the USA and American women and things like that. I would help them with their English, and soon they started calling me “Masetro” (or teacher in English). Well me being the only American in the neighborhood, people started to notice me and say hello or “buenas dias” a lot to me. They all knew I worked t the port. So one night me and Chuey were sitting out on the balcony and some of the other guys that live here came home and they walked up and I said “Barrio Cinco-Cinco” and pumped my hand over my heart and gave them the “hood” sign that Cheech in the movie “Born in East LA”, that I had seen the night before. They thought this was a hoot and laughed until they almost cried. Well after that every time I saw Chuey or any of those guys around town or in the barrio they would give me the chest pump over the heart and greet me with “Barrio Cinco-Cinco” This has been going on since July and now everywhere I go people who live here in my neighborhood greet me with “Barrio Cinco-Cinco” and pump their chest. I got little kids, women, workers, store people, almost everyone who lives here acknowledges me with that greeting. I have people yell “Barrio Cinco-Cinco” at me when I ride by on my bike, and almost all the people who give me the “Barrio Cinco-Cinco now I don’t even now. I am known as the “Gringo from Barrio Cinco-Cinco”. The other day I was leaving the port and was on my bike and riding home when I noticed I was near my laundry( the place where I get my clothes washed). I had been wearing my Shark Tours shirt all day and it was wet with sweat and needed cleaning. I decided to run into the laundry and drop it off to get washed. I went inside and took off my shirt and handed to the lady behind the counter. Her eyes got big because nobody here walks into a laundry here and takes the shirt off their back and asks to get it cleaned. I proceeded to tell her in Spanish, that there was a cruise ship in town on Tuesday and I needed to have my shirt washed so I could use it to work on Tuesday and was that a problem. It took me a couple of minutes to explain my dilemma to this woman in Spanish because my Spanish is not great and I am finding out I talk too fast for some Mexicans to understand. After a couple of minutes of me expressing that I need my shirt back on Lunes,(Monday in Spanish), and rambling on, she looked me in the eye and said to me in perfect English , “Don’t worry Senor Stewart we will have your shirt ready on Monday afternoon”. She spoke English and I did not know it, and she let me ramble on until I was done. And yes my shirt was ready on Monday.